0.25mm, Maximum Up To 12mm. Perforated sheet Laser cutting technology enables the design engineer a limitless ability to create the most complicatedshapes and the ability to use materials that are traditionally difficult to cut with established stamping methods. Low to medium volume is ideal for laser cutting and tooling costs are virtually non-existent. There is also quicker turnaround from your design to production level parts in hand. Wannuo’s laser cutter is the powerful and precise Amada FLCAJ 3015 3-Axis Fiber Laser Cutting System with the optional automated loader/unloader, allowing 24/7 production. Our capabilities and expertise provide our customers solutions for a wide range of materials like carbon steel, aluminum, and stainless steel. This machine’s capacities enable us to handle sheets 5 feet wide, 10 feet long, and up to 5/8” thick. 2. Any pattern can be made, no need open dies. With up to 20moulds installed on the machine to create a varity of patterns, we also accept your design to make the mould for fabricating products. Any RAL colors, Colorbond colors, Pantone colors or exact color samples are acceptable for us to make to you. With weather durable PVDF coating to keep a above 10 years long lasting without color fading. 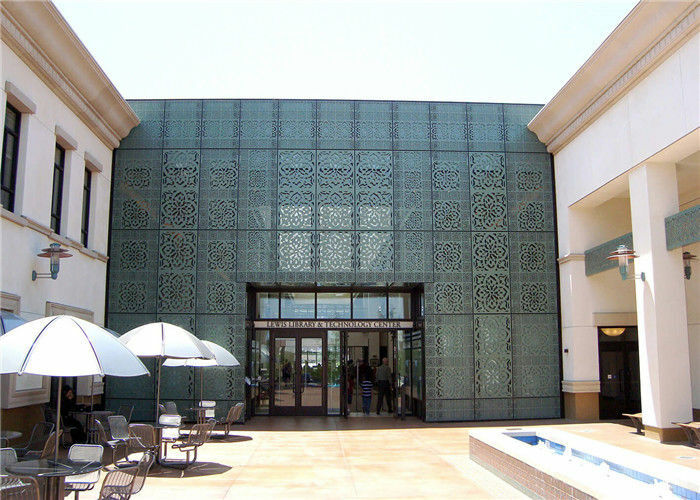 You can find round hole perforated metal sheets made from a wide assortment of top-quality materials, including carbon steel, stainless steel 304, galvanized metal and aluminum. WANNUO WIRE MESH:Quality. Speed. Reliability!your wire mesh authority!